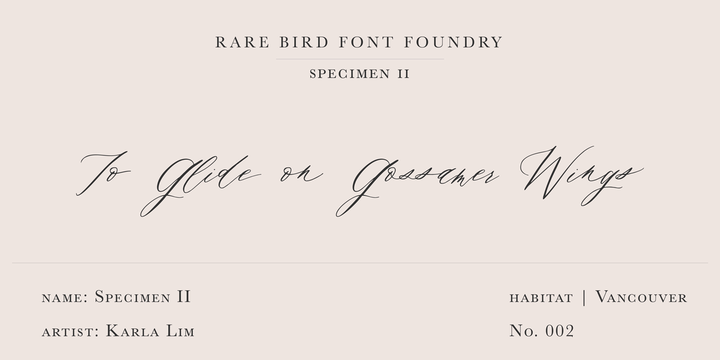 Rare Bird Specimen II is an elegant, calligraphic typeface published by Rare Bird Font Foundry which comen with a wide range of OpenType features useful for your projects. It is a delicate but not a fragile typeface, suitable for romantic projects, wedding, invitation, luxury product packaging, signature etc. Have fun! A font description published on Wednesday, October 18th, 2017 in Fonts, Rare Bird Font Foundry by Alexandra that has 3,445 views.